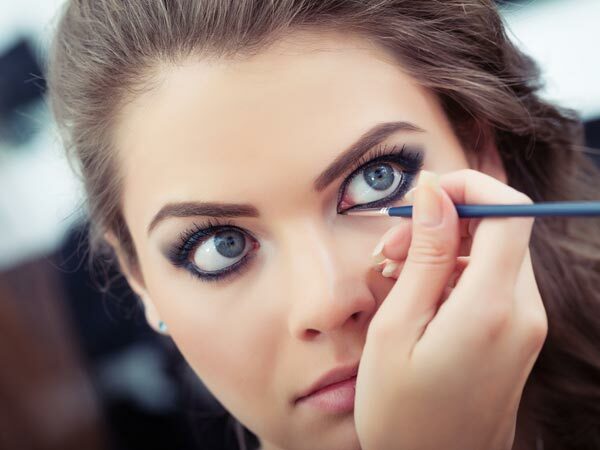 Here are 7 easy steps on how to apply kajal perfectly. Now, look gorgeous every day with stunning kohled eyes! Kajal is every girl’s one a true everyday essential. It’s the first makeup product that you experiment with as a girl and the one thing you rely on as a woman. It’s time to conquer kajal so that you can look your absolute best, every single day. 1. Pick the right brand and type of kajal: Every girl’s eyes are as different as she is. You may have noticed that your friend’s favorite brand of kajal smudges and makes you look like a raccoon. That would be because your eyes are more watery than hers. Kajal is also available in many different formats, pencils, twist-ups and kajal sticks. So do your research and pick a brand and that suits you perfectly. 2. Find the right kajal look for you: Depending upon the shape of your eyes, your kajal look will differ. For instance, if your eyes are set close together, kajal that covers only 3/4ths of your lower lash line will make your eyes look like they are wider apart. The right kajal look can instantly and radically change the way you look, so it’s worth the time to figure out what kind would work for you. 3. Cleanse your eyes: The residue from your kajal pencil or the previous night’s eye makeup sometimes makes your eyes appear darker and more tired than they are. 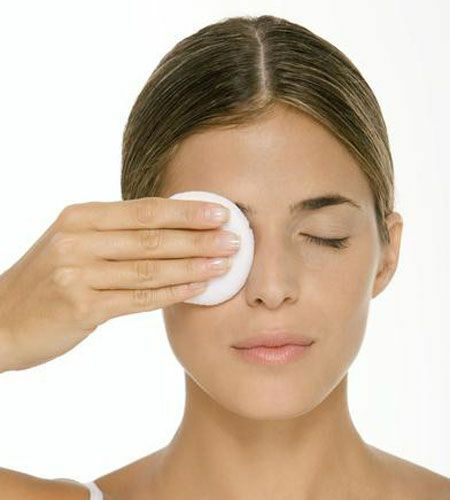 Before you apply kajal, or any eye makeup at all, always ensure that your eyes are clean. Use a cotton ball soaked up with eye makeup remover and gently rub it along your lashes and lids to get that perfect canvas. 4. Make sure your pencil is sharpened: If you try to apply kajal when your pencil is blunt, not only will the effect be ruined, the wood of the pencil may also poke your eyes. 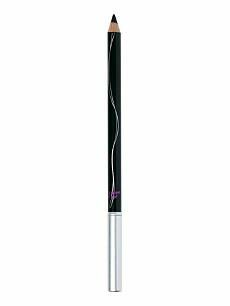 The sharper the pencil, the better and finer your kajal application. If it is a slight smudge effect that you want to create, use a flat brush to blend the kajal right under the lower lash line. If you use a twist up, try to make it a little sharp by rubbing one side of it on your hand. 5. 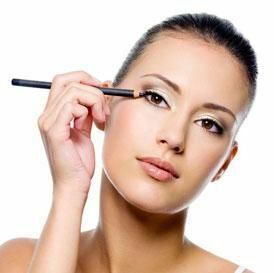 Pull down your under eye skin: Hold your kajal pencil in one hand and with the index finger of the other hand pull your under eye skin gently downwards. 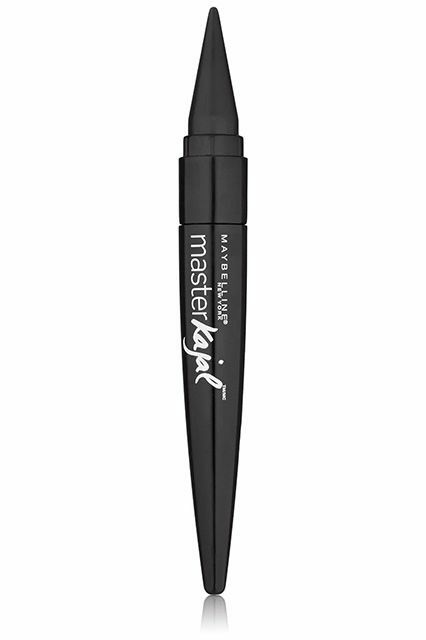 This will expose your water line enough to be able to apply kajal easily. Keep the pressure of the index finger minimal and keep it flexible enough to move easily as you apply your kajal. Make sure it’s clean, too! 6. 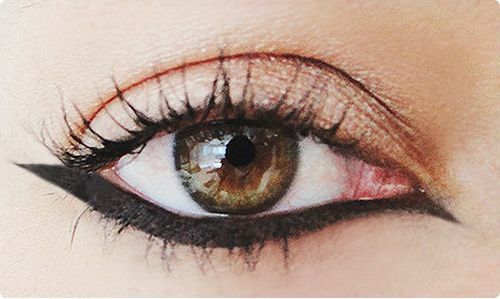 Start from outside, going inwards: Begin applying your kajal from the outer corner of your eyes. Keep the pressure of the pencil light but right. Fill in your lower lash line using short strokes. Go over your strokes repeatedly, almost as if you are coloring a very small area in a book. Complete your kajal application in the inner corner of your eye. 7. 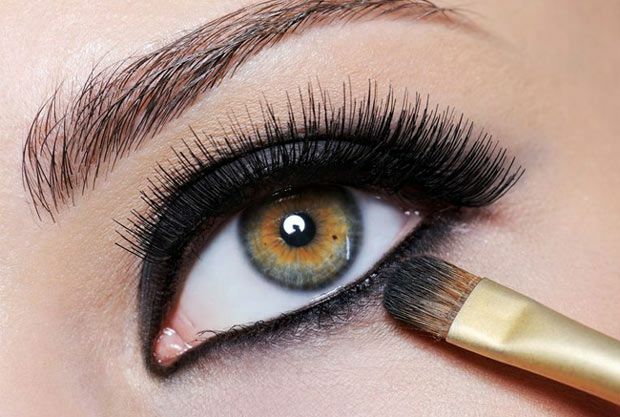 Seal it with a dark eyeshadow: Every girl wants her kajal to remain flawless all throughout the day. Fortunately, there’s a simple way to achieve it! Seal in your kajal with a matte and dark eyeshadow powder. Apply it in the tiniest of quantities on your lower lash line, just under the kajal using a flat brush. Using a concealer under your eyes will make your eyes appear brighter and help them stand out. Be sure to use a concealer in a powder format to help your kajal stay in place.